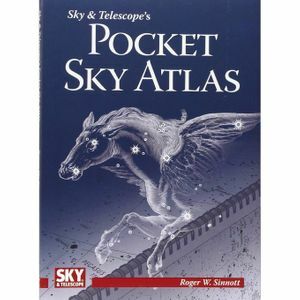 Perfect for beginning and experienced stargazers alike, the Pocket Sky Atlas will have you exploring the heavens in no time. The atlas features 80 charts with more than 30,000 stars individually sized according to their brightenesses, down to a visual magnitude of 7.6. That's roughly five times as many as you can normally see with the naked eye and approximates the view you'll see in a low-power finderscope.